Physically engaging with nature is one of the main elements in my practice. The Artist-in-Residence program at the Mt Coot-tha Botanic Gardens in 2006 provided me with the opportunity to work with a vast diversity of Australian native plants. 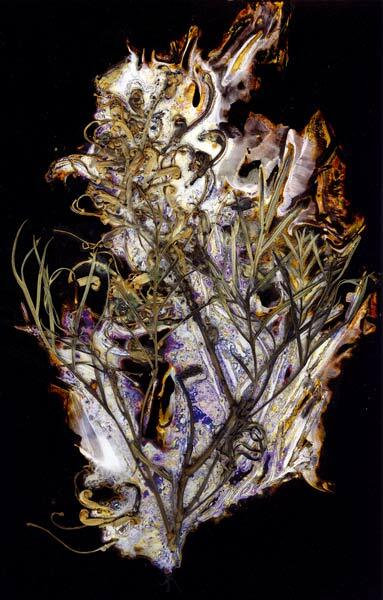 Renata Buziak cultivates her small gardens in warm dark environments using plant cuttings, moisture and millions of microbes on a gelatinous base of photographic paper. 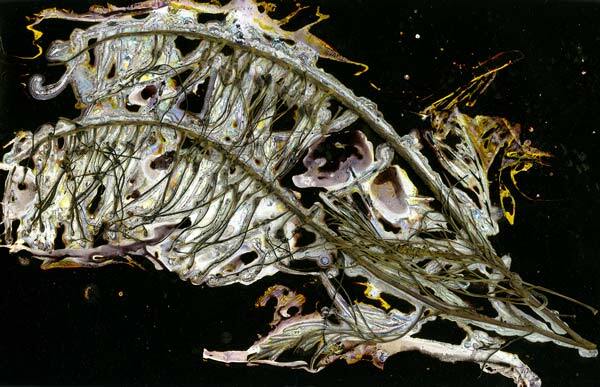 These somewhat fetid terrariums are transformed by the process of scanning and printing, following the interchange of plant, microbe and photo. 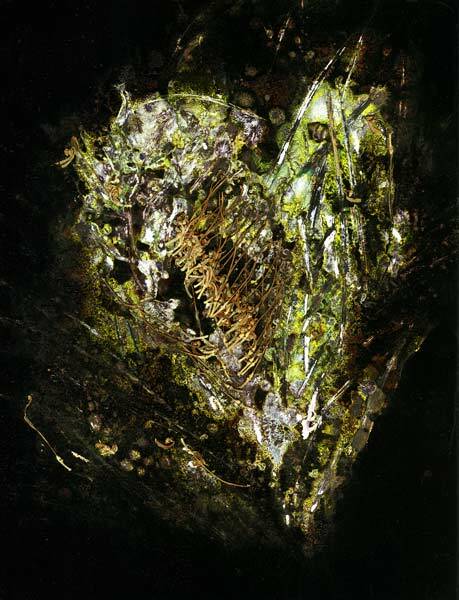 This process of degradation is translated onto the photographic surface as an inscribed language that forms visual and conceptual parallels between the scientific and the artistic. 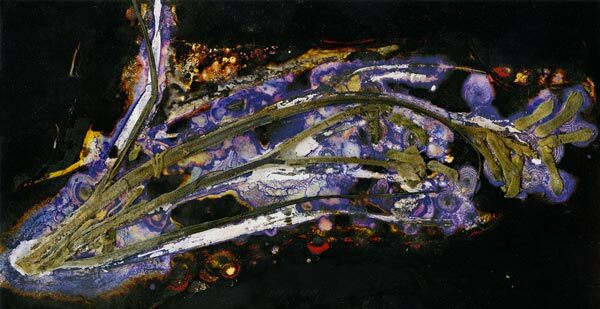 Buziak has developed a process Biochrome a term suggested by her mentor at the time Siegfried Manietta. 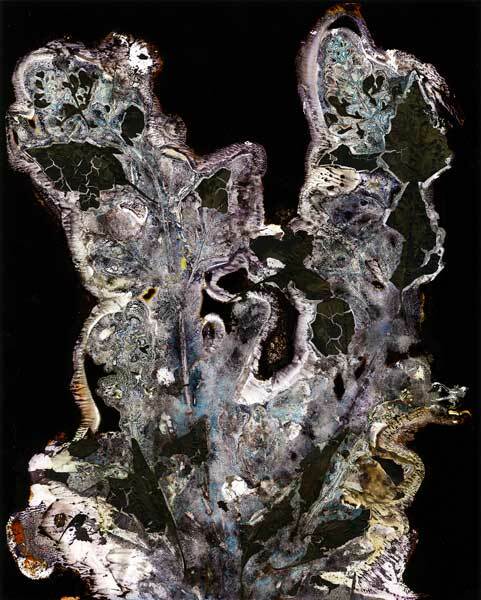 Bio refers to the microbiological material that assists in the construction of her images, and chrome, a reference to the photographic dyes that are revealed as a result of the action on the exposed and developed resin coated photographic paper. The earliest photographic records of plants were made by Henry Fox Talbot, an amateur scientist, published in the Pencil of Nature 1844-1846. 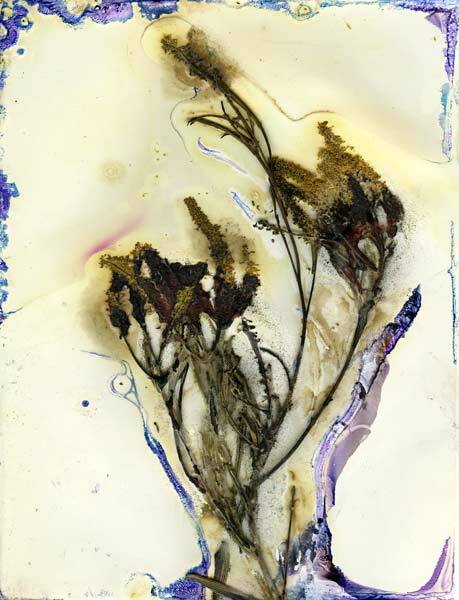 Buziak’s images share many similarities with Talbot’s plant photograms in that both processes require the selected plant materials to have direct contact with the photographic emulsion. 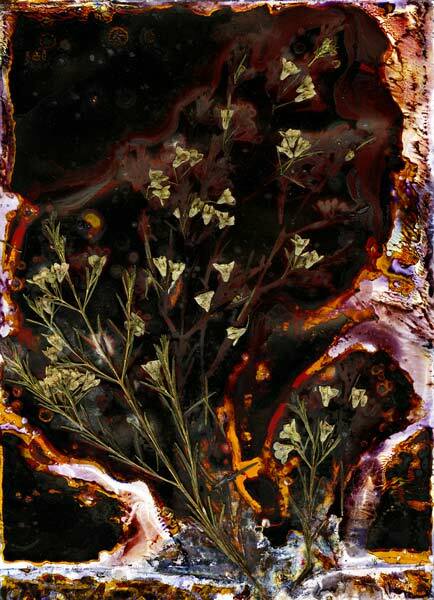 However, Talbot’s photograms are then exposed to light, while the biochromes are exposed to the erosion of time and bacteria. 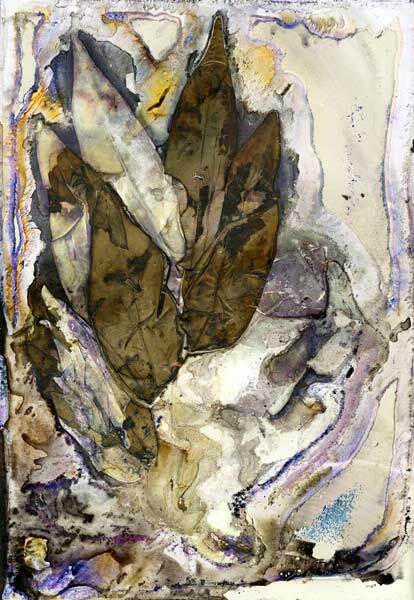 In the hands of Buziak the process of decay creates beautiful and richly seductive images. Perhaps we are meant to reassess the necessity and importance of degradation in our own cycle of productivity. 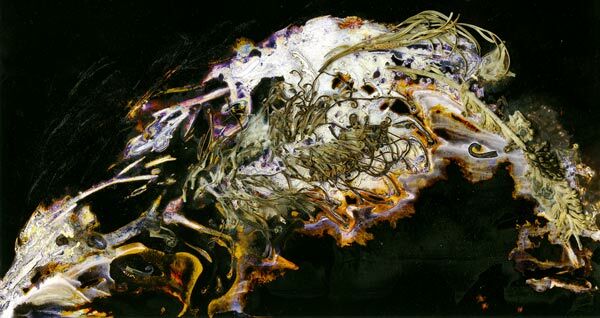 Given that rotting material has directly formed the images, the work illustrates the metamorphosis of the destructive to constructive in both form and idea. Our understanding and appreciation of breakdown and regeneration is visually expounded and expanded. Everything changes over time so Buziak discards nothing as irrelevant. 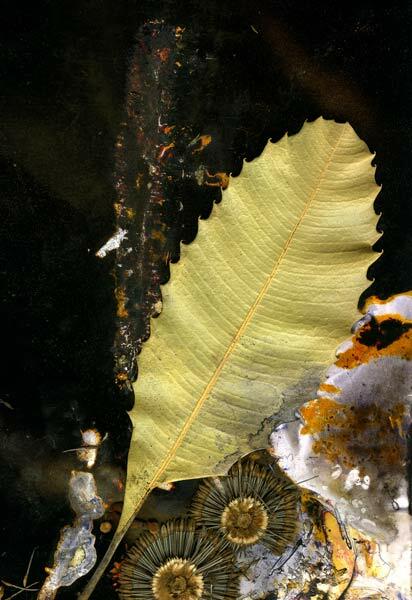 Deep within the dark exposed photographic emulsions the breakdown of plant material becomes complete, and here, we gaze into an abstract pictorial space that has loosened itself from its origins and it is as if we are looking into deep space with the aid of a telescope or at a satellite view of the earth. These multiple perspectives prolong our viewing, and suggest that time is required both to build and to appreciate the exquisite nature of these art works.